Buckingham Palace announced today the coat of arms of HRH The Duchess of Sussex, formerly Meghan Markle, wife since Saturday 19 May 2018 of HRH The Duke of Sussex (Prince Harry). 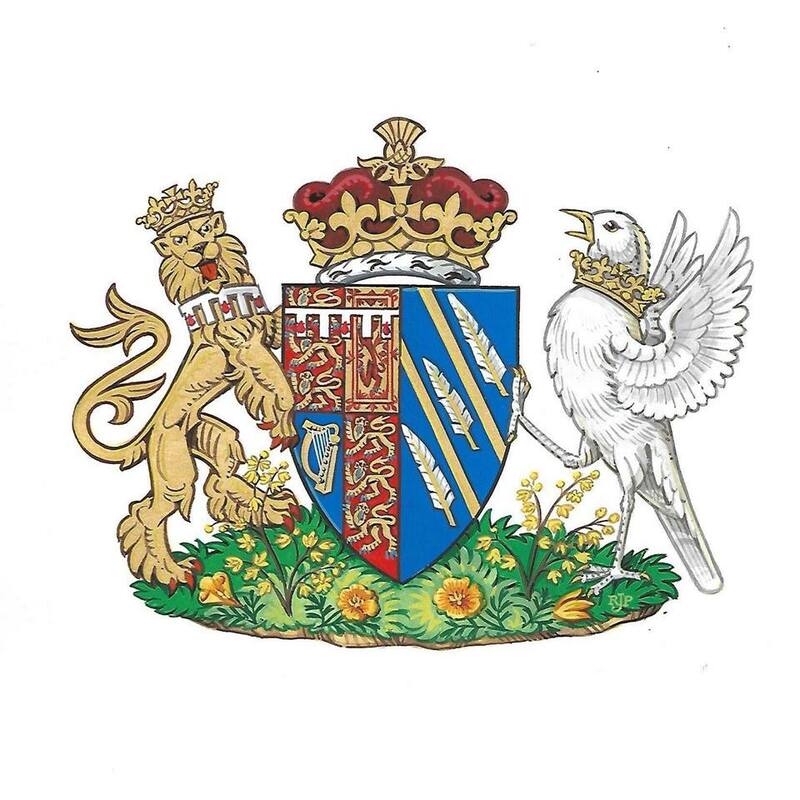 Mr. Thomas Woodcock, Garter King of Arms said: "The Duchess of Sussex took a great interest in the design. Good heraldic design is nearly always simple and the Arms of The Duchess of Sussex stand well beside the historic beauty of the quartered British Royal Arms. Heraldry as a means of identification has flourished in Europe for almost nine hundred years and is associated with both individual people and great corporate bodies such as Cities, Universities and for instance the Livery Companies in the City of London." The heraldic artist is, cf. the signature, Robert John Parsons. The College of Arms will most certainly give the blazon (description) of the arms later on.